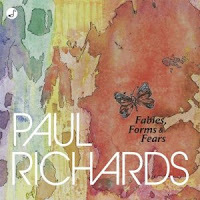 Paul Richards is a younger composer (b 1969) (younger than I am anyway) and judging by his CD Fables, Forms and Fears (Meyer Media MMO7008) one of the more accomplished and interesting of his generation. The CD presents seven of his compositions, written between 1996 and 2003. They are each in their own way quite eventful and inventive. They range from solo pieces ("The Great Octopus," for solo guitar) to small chamber configurations ("Hypercube" for percussion and piano; "Cypriot Structures" and "Falling On Lobsters in the Dark" for violin, guitar and piano; "Rush Hour" for horn and piano; and "Asphalt Gypsy" for violin and guitar) to larger groupings ("A Butterfly Coughs in Africa" for clarinet choir). 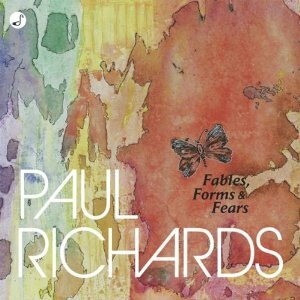 In all of it we hear Richards's own brand of neo-classical modernism, tempered sometimes by the motor-impulsive qualities of minimalism, but sans the repetition. It is music that bears the stamp of very solid compositional craftsmanship but also the lucid spark of inspiration. You do not hear the moments of less-than-inspired passagework that you might in a lesser composer. The thematic material is engaging and the development of it filled with drama and musical logic. The artists involved in these recording acquit themselves very well. There are some excellent performances all around. The Duo 46 configuration of Matthew Albert Gould on guitar and Beth Ilana Schneider-Gould on violin, with or without the addition of Nathanael May at the piano, gives character and well-executed dynamics to the pieces they grace. But everyone puts in sympathetic readings, from Kenneth L. Broadway on percussion and Paul Basler on horn to the piano work of Kevin R. Orr and the University of Florida Clarinet Choir. This may have been out for a few years, but it's well worth tracking down if the music-as-described sounds interesting to you. It's a CD that does not stint on musical content, yet has much charm as well. Works for a solo string player and percussion orchestra are hardly a standard commodity in the concert world. 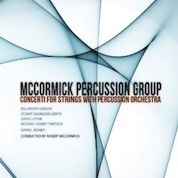 The McCormick Percussion Orchestra programs five of them in a recent release (Ravello 7820). I suspect none of them are headed for the standard repertoire any time soon. Then again, unless things change, only a handful of recent works will do that in the era and not always for reasons of musical merit. Of course the modern percussion orchestra is capable of a great deal more than the ricky-tick, slap and bing-bang-boom of some of the pioneeing percussion ensemble works of the last century. The music includes tone-centered as well as sound-centered instruments, and of course even the sound-centered instruments have greater or lesser degrees of pitch depending upon tuning and manner of attack. So the percussion orchestra has all the qualities of a conventional orchestra in terms of both sound color and the possibility of pitched confluence, but with a special character, and that is shown here convincingly. The composers and works at hand on this anthology make full use of the double character of such an orchestra. The fit between string soloist and orchestra runs the gamut between fully integrated and contrasting (in timbres and textures). Michael Sidney Timpson's Donxidongxi, Concerto for Zheng and Percussion Orchestra perhaps has the most fluid affinities between the two, especially since the Zheng is played with a plectrum and has a more percussive sound in general. Nonetheless, no work presented here is without interest. Baljinder Sekhon's Lou for cello and orchestra, Stuart Saunders Smith's Nightshade, for violin and percussion orchestra, David Liptak's Concerto for Viola and Percussion, Daniel Adams's Camouflage for Contrabass and Percussion Trio all have their fine moments. There are percussion outbursts that will give pleasure to those who appreciate such things, there are sound coloristic moments and there is a world-music flavor to be heard now and again. What counts is that none of this is music by rote. Each piece is a world unto itself. If none of them quite seem in the league of great masterpieces of the 21st century, the entire program will give you some unusual and pleasing moments. Appreciators of large percussion ensembles that dwell in the realm of "pure" music (whatever that means, exactly) will find this a happy listen. 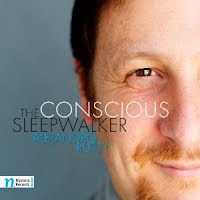 Alejandro Rutty's disk of new music coming out of the tango, The Conscious Sleepwalker (Navona 5870) brings on some fascinating and well-done compositions for saxophone quartet, tango ensemble, chamber ensemble and orchestra. He joins the ranks of some notable others who have worked flirtatiously or extensively with the form, from Stravinsky to Piazzolla. This is music, however, very much on Rutty's own terms. The Concerto for Saxophone Quartet and Orchestra, aka A Future of Tango starts things off with some very engaging music. It's modernist-eclectic in the way Frank Zappa's more "serious" compositional work was, in that it draws on the music in the air around the composer and melds it into something personal. The Conscious Sleepwalker Loops for orchestra at the start seems to veer away from the overt adaptation of the tango form to focus on a kind of symphonic poem of distinct interest, but even here the tango melodic-rhythmic feel makes itself known sooner or later. The rest of the program continues to unveil Rutty's unique stylistic amalgam with various configurations from sax quartet to large chamber ensemble. At no point do you feel like this is music of a derivative sort. Rutty has his own way which is neither avant garde nor strictly tied to tango. His music has a logic and charm all of its own and it captures the ear throughout. Recommended. 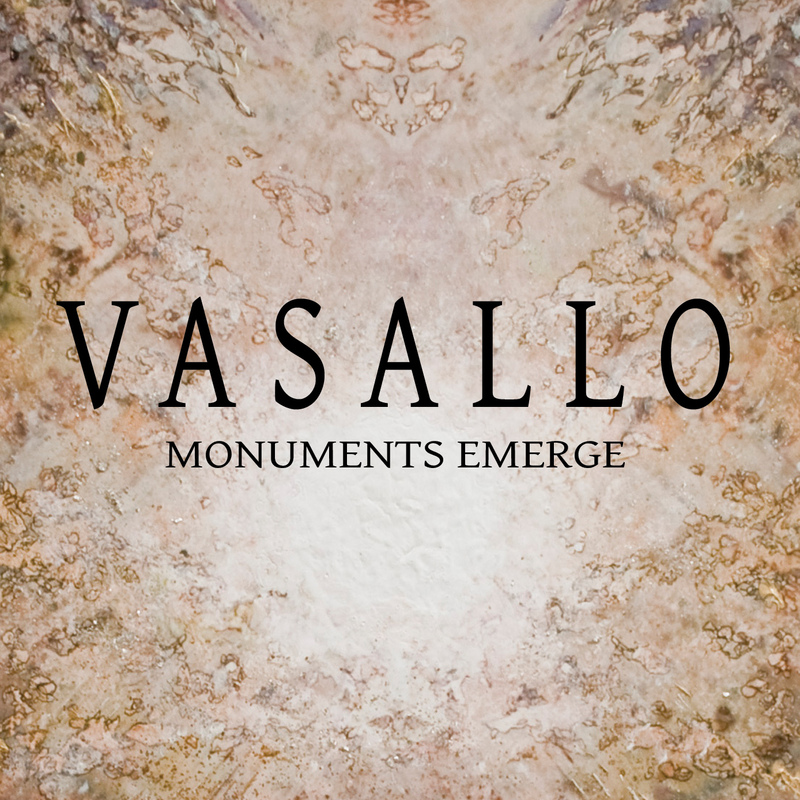 Here we have a fascinating collection of compositions by Nick Vasallo, Monuments Emerge (Innova 821), covering the period between 2007-2012. Since I am ill today I will not go into much detail. 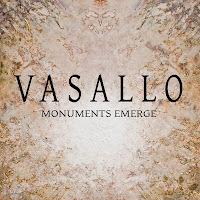 Asian (taiko drumming and more) influences, modern classical (minimalism and modernism) and some heavy metal elements (toward the end notably) combine in ways that have a kind of organic seamlessness. The results are convincing, forward-looking, well constructed, and original. Piano recital disks can go a number of ways. The key is "recital." This generally means that it is first and foremost the pianist who is on display. The what of his program is perforce secondary to the artist as performer. So you generally get a mixed bag of compositions. If the pianist is exceptional, all falls into place. If not it can be hodge-podge time. Thankfully the piano recital disk on tap for today is by a young pianist with a dashing muscularity. Behzhod Abduraimov, at 21, takes on some virtuoso romantic-early modern showpieces--works by Prokofiev, Liszt and Saint-Saens (Decca). The Prokofiev Piano Sonata No. 6 forms the centerpiece of the program. It is a work he does quite well. 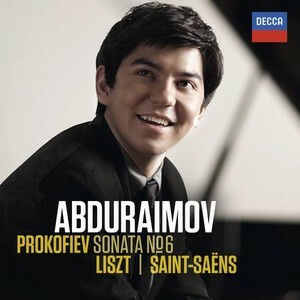 Apparently Prokofiev is a composer with which Abduraimov has much affinity. When he won the prestigious London International Piano Competition in 2009, he garnered much praise for his performance of the composer's Piano Concerto No. 3. The 6th Sonata in Abduraimov's hands most certainly comes alive. He attacks the work with the sort of determined motor brashness and alternating tenderness the work demands. It is quite an impressive performance. His rendition of Danse Macabre (in the Liszt/Horowitz piano version) takes on an exhilarating aggressiveness as appropriate, and alternately works out the staccato-legato contrasts in the less driving passages with a sure touch and a subtle, orchestral discernment of lines. The two Liszt works come off well also. The madly careening Mephisto Waltz No. 1 gets the full bravura showmanship that impresses for its youthful exhuberance. The slow movement of Liszt's "Benediction de Dieu dans la solitude" comes together with a long, lingering poeticism that captures the mood of the piece with plenty of finesse. Bezhod Abduraimov leaves a powerful impression with this recital disk. He is a pianist with marvelous technique and a broadly sweeping dynamism and drive. The listener can't help but be carried inexorably forward with the excitement of his approach. Listen and you will be drawn into his maelstrom most willingly. Robert Schumann was a gifted composer who did his best music at intermittent periods of his career. His was not the grand Beethovenian progression from height to height. One of his most fertile periods was 1842-3, when he composed some of his very best chamber music, notably the Piano Quintet, Op. 44 and the Piano Quartet, Op. 47. 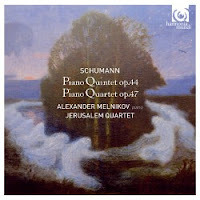 A new recording of these works by Alexander Melnikov and the Jerusalem Quartet has just emerged (Harmonia Mundi 902122) I have been communing with my muse lately by giving the disk a spin. These are exceptionally imaginative works, filled with brilliant invention, melodious themes, rhythmic vigor and a lack of romantic self-indulgence. They are played with lots of style and dynamic thrust by Melnikov and the Jerusalem Quartet. In addition to the symphonies, the best of the solo piano works, the Piano Concerto and the best of his lieder, this is indispensable Schumann. With the performances at hand, one cannot go wrong. There may be more Dionysian versions from the days of the 78 and LP. This more present-day Apollonian version brings out the thematic brilliance without wearing its emotions on its proverbial sleeve. It isn't without warmth. It does not gush either. You hear the music clearly without undue amounts of supercharged phlegm and neo-Victorian vapors. So it is certainly a version to have. The time length of a CD can allow for things that generally would not be done during the LP era. 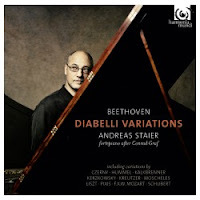 A good case in hand is Andreas Staier's recording of Beethoven's Diabelli Variations (Harmonia Mundi 902091). Staier not only tackles the full set of variations Beethoven penned, he begins with a selection of the variations submitted at the time by 50 other composers. So there is one by Schubert, one by Mozart's son, an eleven-year-old Liszt, Kreutzer, Kalkbrenner, etc. This makes for fascinating listening and helps situate the 33 by Beethoven. Maestro Staier gives a properly discerning interpretation of the whole lot, played on an instrument that by the delicacy of its upper register must have been manufactured sometime in the 1800s. Given the additional composers' variations this is a good version to have. Staier gives a vigorous, sensitive but not overwrought rendering that sounds quite right to my ears. Gesualdo, Prince of Venosa (1566-1613). Thanks in part to Stravinsky's championing of the composer, those who revere or appreciate the expanded tonality of modernity recognize that Gesualdo's music was an early precursor of expressive dissonance. To be sure these were mostly contained in his Fifth and especially Sixth Books of Madrigals. And beyond such consideration we recognize that his overall vocal writing style was a brilliant highlight of his age. The Hilliard Ensemble has just recorded the Fifth Book, Quinto Libro di Madrigali (ECM New Series) and a definitive, ravishing performance it is. The sheer beauty of the music comes through admirably in the Hilliard Ensemble's capable vocalisms. It's scored for a sextet of soprano, two countertenors, two tenors and baritone. The sensuous diatonic parts and their emphasis on the upper ranges for moments of dramatic impact move from high moment to high moment, punctuated by what is customarily referred to the "shocking" dissonances. A modern audience used to romantic and contemporary harmony tends perhaps to find these punctuations not so much shocking as admirably expressive. As I first listened to this recording, forgetting for a moment the chronology, I thought to myself, "ah, yes, this is the earlier work, not the radically dissonant madrigals." I did not find myself shocked, I found myself engaged. The pure-toned clarity of the ensemble brings out the affective qualities of these madrigals with maximum expressive clout. To be fair, the Sixth Book contains the more consistently radical dissonances. But what counts is the beauty of the music overall. That comes through clearly, passionately, and sonorously chime-like throughout the Hilliard's performance. No one who wants to understand the mature Gesualdo should miss the Fifth and Sixth books. Here is perhaps the definitive recording of the Fifth. Another triumph for the Hilliards! Benjamin Britten was one of the most evocative composers of the mid-to-later 20th century. When it was a matter of paralleling a text, be it lyric content or libretto, no one had quite his ability to paint a musical picture that resonated utterly with the meanings involved, but in such a way that it was unmistakably the auteur's music staves that were at hand. 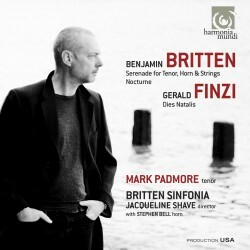 Celebrated tenor Mark Padmore and the Britten Sinfonia (Jacqueline Shave conducting) give a very effective reading of Britten's Serenade for Tenor, Horn and Strings, his Nocturne and Gerald Finzi's Dies Natalis in a new release (Harmonia Mundi 807552). The combination of the archaic quality of the natural horn harmonics (here we have Stephen Bell as soloist), the string orchestra's night-enfused score and the tenor's expressive vocal part give a poetic, atmospheric quality to the work. The performance of the Serenade given here most assuredly ranks up there with Britten's own verson. The night mood continues with the Nocturne, a less ponderous, more transient work. Gerald Finzi's Dies Natalis ends the program on a more lyrical, naive note, as the text portrays the world through the eyes of a child. Finzi may not have been given his due as an English composer of stature, but he most certainly holds his own here and completes the mood of the more well-known Britten works. Padmore is impeccable, the Britten Sinfonia detailed and expressive and the recording bright and well-staged in full sound dimension. If you don't have these works you most certainly should if you follow the English 20th century orchestral-vocal masters. Those who have the Peter Pears-Benjamin Britten versions of the Britten works will find this recording a good version to contrast with them. It turns out there is a wealth of early baroque composers who produced music worth hearing today. Until the early music re-renaissance that begin in the '60s we did not have the chance to experience the works of many of them. Now of course we do, in versions consistent with the period style. Violinist John Holloway has been making a number of recordings devoted to some of the lesser-known masters. His latest, Sonate concertate in stil moderno (ECM New Series B0016622-02) presents sensitive, vibrant readings of six sonatas by Dario Castello (1590-1658) and seven by Giovanni Battista Fontana (1571-1630). 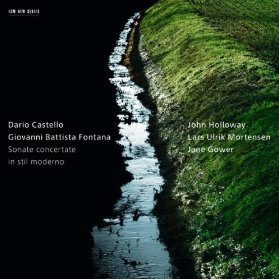 Half are for violin and continuo, the latter handled nicely by Lars Ulrik Mortensen on harpsichord. The other half add the renaissance version of the bassoon, called the dulcian, handled effectively by Jane Gower. These are well crafted, melodically rich works that bring out a virtuoso violin brilliance that John Holloway handles with dash. The sonatas that include Jane Gower's dulcian give us two uniquely colored instruments engaged in jaunty pyrotechniques and moving expressions. The sound of the dulcian in Ms. Gower's hands is full ranged, sonorous and fleet, forming a rather perfectly tantalizing counterfoil to John Holloway's brightly burnished baroque passagework. In the end you get glowing small-group performances of compositions that have the alternating sweetness and fire of the best chamber music of this period. Those who revel in early baroque chamber music offerings that recreate the sound and performance practices faithfully, and those seeking something rather brilliant and off the beaten path will get plenty to appreciate here. Recommended. The best songs of the Elizabethan age often had a melancholy, poetic quality. Think of John Dowland. The later sixties-early seventies spawned a number of gifted singer-songwriters who expressed a similar regret-in-the-face-of-life-experience. Think of Paul Simon, Tim Buckley--and Nick Drake, who died in 1974 at age 26 but not before recording a number of beautiful albums of his music. He was only hailed and recognized later on. I only discovered his music last year myself. This kind of synergy and synchronicity between two eras vastly separated in time has been the inspiration for Joel Frederiksen and Ensemble Phoenix's new recording Requiem for a Pink Moon (Harmonia Mundi 902111). It's a most unusual album. Lute, bass lute (or are the bass notes of the lute given a presence throughout much of the performance? 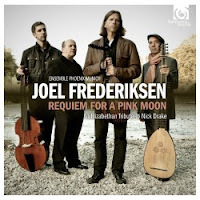 ), viola da gamba and vocalists converge upon some of the best of Nick Drake's songs and rethink them in Elizabethan style. This is something that could end up badly. All depends on a thorough transformation of the music to the old style, and that the songs themselves lend themselves to this treatment. Joel Frederiksen succeeds where others might have faltered. The lute and ensemble arrangements are quite wonderful, the vocals straightforward and plaintive, there are some parallel Elizabethan song counterparts and the whole thing is loosely presented in the form of a Requiem, including contemporary Elizabethan settings from the traditional Requiem Mass. It is a sterling example of a hybrid fusion that works by changing your perception of the singer-songwriter '70s as well as the past into which it is thrown. That's because it is not thrown willy-nilly, but recreated with understanding of the songs themselves and the style of early music to be rethought with new material. And it works because Nick Drake's songs are exceptionally beautiful. It's one of the albums of the decade or at least the year for me, but the category would have to be something like "unexpected music"! Listen to this one, please. Keyboard music from the early classical period, in the right hands, has a certain simplicity and charm all its own. The style was first being hammered out for one thing, and so there is a freshness there. The budding world of amateur keyboardists needed music to play that was not too difficult or taxing. Christian Gottlob Neefe's Twelve Sonatas (1773) fit the bill admirably, as you can hear on the new recording by Susan Kagan (Grand Piano GP615-16). They are very reasonably constructed, have a facile kind of emotionally cheerful nature typical of the age, and give the listener a little afternoon sun no matter what the weather. Most music-lovers will recognize Neefe as Beethoven's first principal music tutor. Fittingly the 2-CD set also includes Beethoven's first published composition, the Nine Variations for Keyboard on a March by Ernst Christoph Dressler, WoO63. Showing the influence of Neefe's tutelage, it captures Beethoven's first, understandably simplistic handling of the variations form without giving one much intimation that a towering giant was about to shoot into the sky and change the course of classical music for good and all. Similarly those looking for Neefe to have within his music the spark or kernel of a nascent romanticism will look in vain, at least in the sonatas performed here. These are very much in the mainstream of the simplified classical keyboard style. They are not in any significant way inferior to typical work of the time (though they do not match Mozart or Haydn for inventive brilliance), nor are they written in some white-hot fit of inspiration, or at any rate do not sound so. Both sets of works are nicely and matter-of-factly played by Susan Kagan. If not exactly earth-shattering, it is nevertheless a most pleasant listen. When artists combine early and new music in creative ways, my interest perks up. 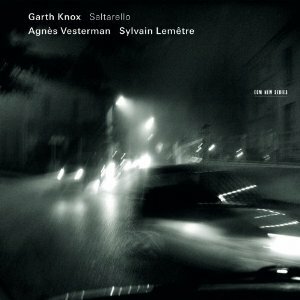 That is what is happening in Garth Knox's album Saltarello (ECM New Series B0016623-02). Garth Knox was the violist for the Arditti Quartet before he embarked on a solo career. His latest album features him on viola, viola d'amore and fiddle, along with Agnes Vesterman, cello, and Sylvain Lemetre on percussion for stretches of the program. Otherwise it is just Garth playing solo with a pre- and post-romantic string sound and technique, sometimes with archaic folk-early music double stops, always with multi-stylistic imagination. The program covers a remarkable breadth, from folk song arrangements, early dance numbers, Hildegard von Bingen and Guillame Machaut, Dowland, Vivaldi and contemporary compositions by Kaija Saariaho and Knox himself. The dance numbers feature Knox and percussion or the entire trio (after all the album is called Saltarello) and are given a lovely reading. The breadth of music covered in between is a testament to Knox's idea of the new in the old and the old in the new. All form a continuum so that nothing seems out of place. The performances are in turns authentic and exploratory, but always the timbre of the string playing and expressiveness are the threads that guide the listener through the many twists and turns of the program. I found it all enormously invigorating and quite a listen. Garth Knox has mastered his take on the early and the present-day with his own musical acumen and personality. A beautiful recital from beginning to end! The modern day classical pianist does not appear to us in monolithic form. There are as many musical personalities on display now as ever, perhaps more so. Not everybody plays everything equally well. But some artists play certain chunks of the repertoire extraordinarily well. 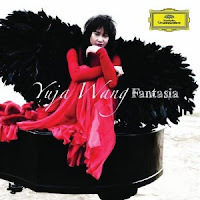 Yuja Wang is such a case in point. I have not heard her previous release but based on her new Fantasia (Deutsche Grammophone) I am a believer. She tackles romantic and late romantic bravura virtuoso showpieces with an exceptional arsenal of technique and an orchestral-archetectonic grasp of the totality of a work that is nothing short of breathtaking. Fantasia concentrates on miniatures, many of which would comfortably and admirably serve as encore numbers in a recital situation. They are sometimes lighthearted or vividly depictive, but in Yuja Wang's hands they become something more. Like the fairies in A Midsummer Night's Dream, she can take something more or less standard and just-so and transform it into something magical, charmed as it were. Most if not all of the pieces will be familiar to the seasoned listener. Some are rearrangements of familiar orchestral or operatic movements: Scambati's adaptation of a melody from Gluck's Orpheo ed Euridice, Horowitz's "Variations on a Theme from Carmen," Liszt/Horowitz's adaptation of Danse Macabre, Staub's solo piano version of L'Apprenti sorcier. Then there are purely pianistic gems by Scriabin, Rachmaninoff, Chopin, Scarlatti and etc.. The very familiarity of much of the music serves to underscore the considerable technique and intepretative acumen of Ms. Wang. The multi-layered, orchestrally conceived passages become both plastic and brilliantly, poetically differentiated in Yuja Wang's hands. This is show stopper brilliance, marvelous pianism. She is worthy of all praise garnered upon her. She is a pianist of the very upper echelon. Fantasia gives you 18 brief examples of why that is so. Excellent! Ravi Shankar has excelled throughout his career in combining Indian and Western forms. His movie soundtracks over the years show an increasing mastery of writing for east-west combinations of instruments in ways that allow his creative muse to flourish. 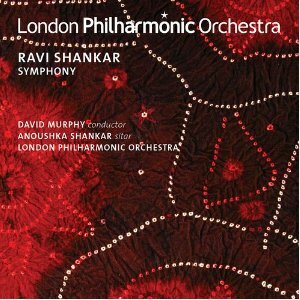 Ravi Shankar's Symphony (LPO 0060) premiered in 2010 and in many ways forms a logical outcome consistent with his many years working with a very personal approach to so-called fusion. 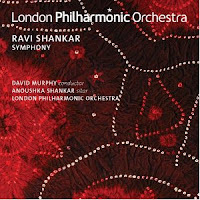 The recording has arrived, a very good one with the London Philharmonic Orchestra under David Murphy, Ravi's daughter Anoushka Shankar playing the solo sitar part. It's a work of vibrancy and contrast. The role of the sitar is concerto-like, in that there is virtuosity on display and a prominent role in the thematic content of the symphony. Rhythm and melody, not surprisingly, show Pandit Shankar's lifetime immersion and triumphant facility working with the Indian classical idiom. In many ways the work has the feel of the compositional aspects of a Jugalbandi (duet) recital, with sitar and orchestra in a sense taking the two contrasting roles. This is a simplification, since the orchestra rarely acts in a monolithic way; there is a full orchestral palette in Shankar's vision. The compositional forms are much more complex and extended than might be the case with typical jugalbandi themes. And of course the sitar part is much more actively Indo-classical than perhaps the orchestra, especially in the hands of a budding master like Anoushka Shankar. The scherzo and finale movements give her a particularly extended set of variations and a chance to display virtuoso brilliance. On the other hand the orchestral writing shows a great deal of imaginative scoring and a most effective use of virtually all the resources available. It is music that generates a great deal of excitement. The sure hand of the master does not falter, but rather takes the longer form, larger ensemble music he has created so effectively since the beginning of his career and does them one better. It is the music one creates after a long lifetime of immersion and selfless dedication. A brilliant work! A crowning achievement for Ravi Shankar, Anoushka Shankar and the London Philharmonic. Bravo! Mieczyslaw Weinberg (1919-1996) Russian-Polish-Jewish composer of the Soviet Era, wrote 26 symphonies as a part of his output, fell out of favor at the end of Stalin's regime, and after a time of rehabilitation in the post-Stalin era was more or less forgotten in his last years. This in part explains why his music was not exported to the West in a consistent way. Only now has he begun to be recognized as a symphonist of importance. How timely then the issue of his Symphony No. 6 and Rhapsody on Moldavian Themes by the St. Petersburg State Symphony Orchestra under Vladimir Lande (Naxos 8.572779). The Rhapsody is a 15-minute work that brings much Slavic color into its concise form. It is a good prelude to the more ambitious, sprawling Sixth Symphony, which is scored for large orchestra and boys' choir. Written in 1963, the 6th had a very positive reception from Shostakovich, whose 13th Symphony premiered a short time before Weinberg's. The two share certain affinities in thematic construction and overall sweep. Three of the five movements make use of the boy's choir; the other two movements are orchestral only. Much of the thematic material has a folk flavor to it, in part in ways that Prokofiev and Shostakovich utilize themes sometimes for grotesque ends, but also shows originality in the way it combines Jewish-Russian-Slavic roots with more abstract, purely symphonic elements in the course of the symphony. These things aside, the 6th is a work of great dynamism and charm, and the presence of the boy's choir gives it a sort of youthful innocence to contrast with some of the more caustic, somber moments. The performance is quite good and holds its own in comparison to others I have heard. 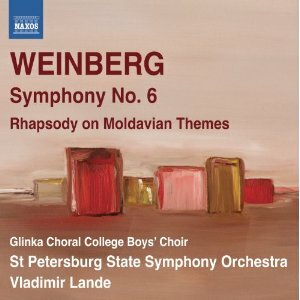 Weinberg's Sixth should be enjoyed by anyone who follows and appreciates the 20th century composers of the Eastern Bloc. It most certainly has regenerated an interest in the composer for me. Get this one and enjoy!! I first came to appreciate the music of Mauricio Kagel (1931-2008) through his 1971 Acoustica and other pieces for unusual musical instruments and sound generating combinations. Though this was a period of his music that was more frankly experimental, there is of course a pre- and post-Acoustica aspect of his music. The works of the later '70s on I'll admit I have not listened to in any detail. So when a CD of his later Works for Flute (Naxos 8.572635) presented itself to me I listened eagerly. It's Michael Faust on flute, Paulo Alvares and Robert HP Platz, piano, Ensemble Contrasts, and Sinfonia Finlandia Jyvaskyla under Patrick Gallois. 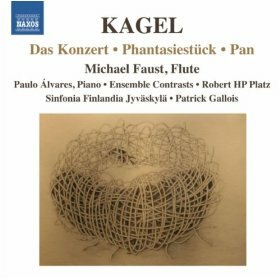 The album offers up a program of interest: "Das Konzert" (2001-2) for flute and orchestra, "Phantasiestuck" (1987-88) in versions for flute and piano, and for flute, piano and ensemble, and "Pan" (1985) for piccolo and string quartet. "Das Konzert" is, if you will, the blockbuster extravaganza. The flute part is mercurial, the orchestral parts dynamic and timbre-rich, the music generally high modernist in a refined sort of way. It's quite expressive and impressive as a flute concerto that ranks among the best of this current century so far. "Phantasiestuck" in both versions is playful, filled with a sort of good humor, harmonically rather primal sometimes, yet quite modern sounding, especially in the larger ensemble version, almost neo-classical in the Stravinskian sense, and thoroughly enjoyable. "Pan" is rather puckish, as one might expect, with an almost impressionistic and lighthearted aspect that makes it easy to hear. The piccolo part has definite brilliance. Michael Faust excels in his interpretation of the solo parts, with a sure phrasing and bright-toned virtuosity. The supporting players are of the first rank and bring out their parts with a flourish. It's a bit of a revelation to hear this aspect of Kagel. The music is not dumbed down yet has much that will be accessible to a wide audience. I am thankful to have it to hear regularly. Definitely recommended. William Bolcom can be counted upon to compose music that brings a certain personal approach to the table. In the lineage of Charles Ives and those that came after, Bolcom often utilizes the music around him or a part of his heritage and transforms it to make a personal compositional statement that is American in a stubborn sort of rugged individualistic way. And so on his Complete Gospel Preludes for organ (Naxos 8.559695), in a nicely done new recording by Gregory Hand, he calls on the blues, gospel, hymn tunes and other things besides to create a series of preludes that bear his personal stamp. It's cathedral organ music in the grand tradition, dynamic, big, vibrant, and yet it is also a somewhat eccentric take on both the hymns and the prelude form. He interjects dissonances, alters the songs to suit his particular inventive fancy, reharmonizes, stretches, rethinks, juxtiposes alongside avant elements and generally remakes in his own compositional image. If in the course of all this the music is lively, fun, and a bit irreverent in ways uniquely Bolcomian. You would never expect anything less of the man. These are not quite like anything else and yet the spirit of Charles Ives, himself for a time the organist of a church in Manhattan years ago, is honored while forwarding the very singular post-modernism of Bolcom himself. 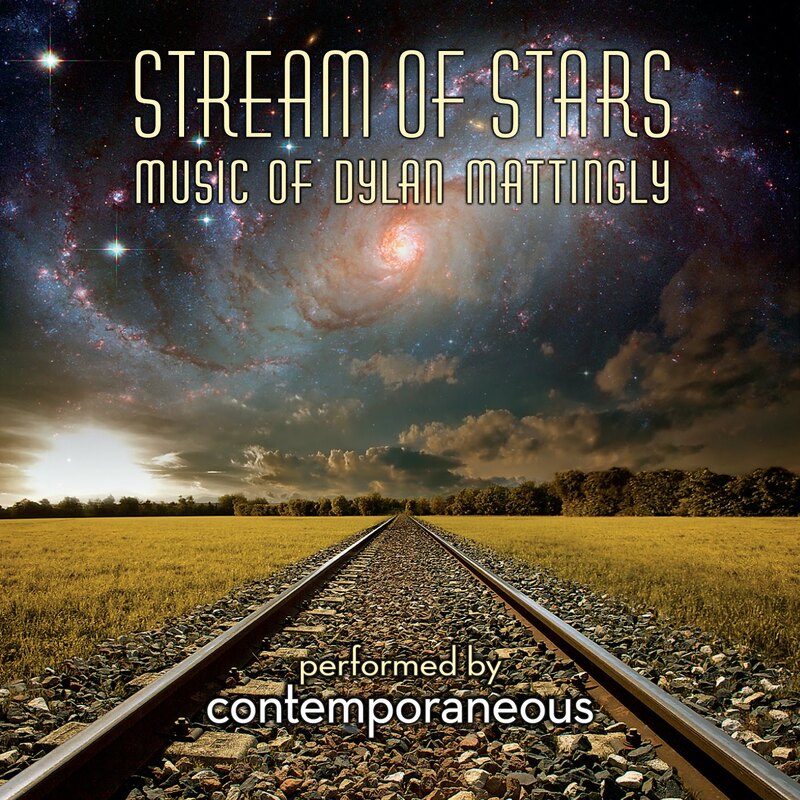 Listening to the music of Dylan Mattingly is a bracing experience. Stream of Stars (Innova 822), a new album devoted to his compositions, makes it clear that he is not following an orthodox minimalist mode of presentation. Imagine a typical chamber orchestral piece as conceived in the height of first-phase minimalism, say by Steve Reich or Philip Glass. There is a recurring pulse and a series of motifs repeating around it, gradually changing, altering, metamorphosing from the original set of repetitions. Some come in, extend, others drop out, and things proceed in a linear left-to-right manner for the most part. Dylan Mattingly takes such motifs and breaks them into contrasting sections that appear and recur, combine and recombine, without a common tempo/pulse as a unifying factor. That's what you hear on the three extended works offered on this recording. They are played with spirit and precision by the ensemble Contemporaneous. The music has moments that drive forward with a sense of dynamic urgency. Other times, there is the flit of gentler motives in a state more or less of eventful repose. Combine, say, an Irish jig, a set of passagework motifs from classical music, some lines out of contemporary tonal vernacular music, and a bit of the interlocking classical minimalist extended repetitions and variations. Fracture all of these elements into chunks along a sort of cubistic axis, with various contrasting tempo implications. 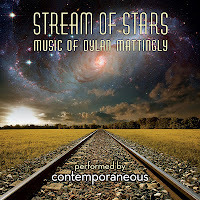 Piece them together in interesting ways and you get something of what Dylan Mattingly's works sound like. The album is well worth hearing. I am not sure at this point whether this tributary broken away from the main stream of orthodoxy is destined to become a river in its own right or remain a pleasantly diverse byway that does not carry that much traffic but gives a rest and an interesting excursion. Is it a model for wide imitation? Or something not as essential to the forward motion of the stream of stylistic development, but valid and stimulating in its own right? Time will tell. It sometimes has a symphonic-developmental feel that some minimalism does not, I will say that. Ultimately what matters is that this new music is original and worthwhile. Paul Hillier has earned a world-wide reputation as a conductor of early choral works. He also has earned that reputation with new music that partakes of aspects of early music. So when he and the Ars Nova Copenhagen set about performing a Requiem (DaCapo 6.220571) that combined Johannes Ockeghem's (c. 1410-97) "Missa pro defunctis" and Bent Sorensen's (b. 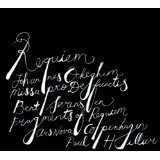 1958) "Fragments of Requiem" I knew that if anybody would make this combination work, it would be Hillier. And work it does, most emphatically so. Both composers follow the contrapuntal choral style associated with Ockeghem (and of course it was a natural idiom for Ockeghem himself!) and so there is a seamless juxtaposition and interleaving of the movements associated with the Requiem Mass. Bent Sorensen interjects dissonances, extensions and structural anomalies into the counterpoint for his movements, subtly, so that the already ethereal beauty of the music is given an additional expressive dimension; the harmonic implications of the lines are expanded while the modern ear is satisfied. It's a very captivating performance and a moving experience. Ockeghem's mastery, Sorensen's masterful extension of the style and the sheer beauty of the Ars Nova Copenhagen's collective voices make for an almost painfully ravishing result. It is an eerie juxtaposition and a sonic cornucopia of sensuous brilliance. I kid you not. Highly recommended.